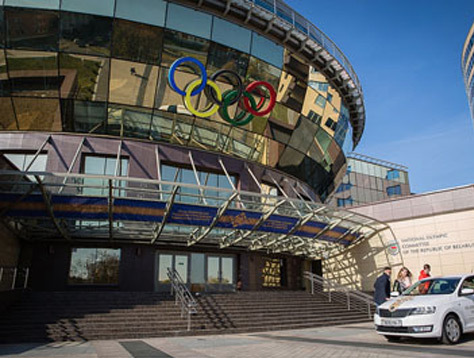 The 10th annual award ceremony of the EOC Olympic Laurels took place in Minsk on the occasion of the 45th General Assembly. – Arvydas Juoazaitis has dedicated a great part of his life to promoting and developing the Olympic Movement in Lithuania. He is also a philosopher, writer and lecturer. – Mr Zdenko KRIZ (SLOVAKIA) is President of the Slovak Table Tennis Association, with 13 elections, with a valuable member of the Slovak Olympic and Sport movement for more than 30 years with long record of achievements towards improvements in professional sport as well as sport for all. – Ms Svitlana SAIDOVA (UKRAINE) has been an outstanding Ukrainian Synchronized swimming coach since 1982, and is currently head coach. The awardees received from the EOC Troika – Vice President Janez Kocijančič, Secretary General Raffaele Pagnozzi, and Treasurer Kikis Lazarides – the awards, now in parchment with the new logo.